When you start considering how to transform your underwhelming outdoor spaces into a veritable Eden, you probably focus on adding lush lawns and leafy trees, as well as beautiful, fragrant blooms. 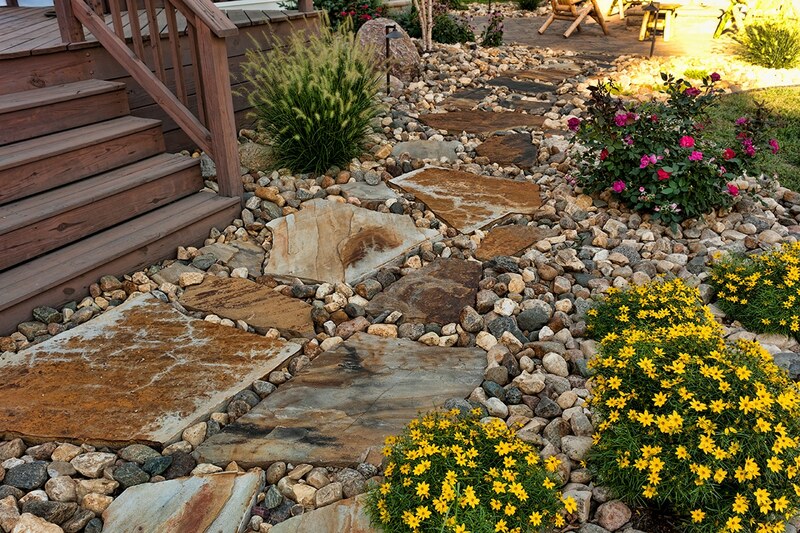 However, the most attractive yards feature a combination of both landscaping and hardscaping. When your residence in Sioux Center and Rock Valley, Iowa needs an exterior facelift, or your home in Sioux Falls, South Dakota suffers from a lackluster yard, Outdoor Elements Inc. can come to the rescue, not only with luscious landscaping, but also custom paver designs for your patios, walkways, driveways, and more. What can we do for you? 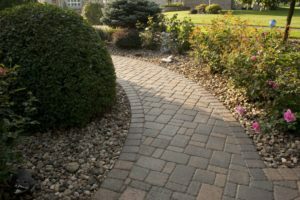 Choosing the right pavers for your yard sounds pretty easy, but there is a wealth of options to choose from. Pavers comes in a variety of materials, including concrete, brick, and natural stone. Within these overall categories, you can also select from a vast array of colors, shapes, and sizes. 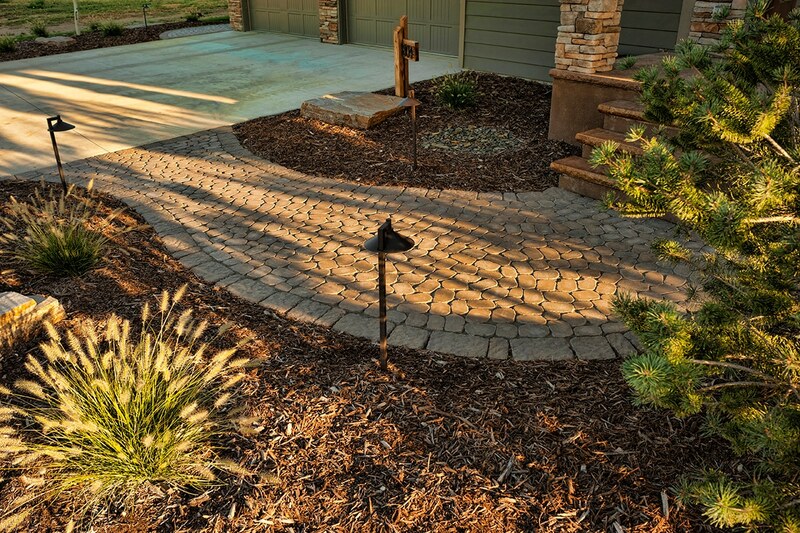 Often, homeowners like to select several different pavers for their hardscaping needs. For example, you might choose a larger paver for the bulk of patio space and a smaller product for the perimeter to add visual appeal and delineate the transition from hardscape to landscape. You might decide to use several sizes of pavers in a given area to create an attractive pattern. Don't forget, pavers can also be used in other areas, such as planter beds, retaining walls, seating, or fire or water features, so you don't have to worry about creating a cohesive flow with materials throughout your outdoor living space. 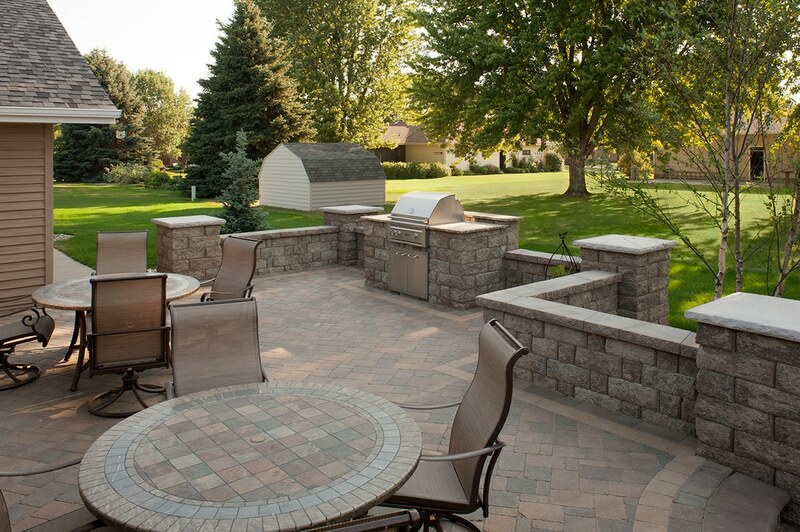 Whether you select several different pavers for your patios, walkways, and driveways or you elect to keep it all uniform, Outdoor Elements Inc. provides the vast selection of options to ensure that you find just the right look for your outdoor areas. Pavers add both practical and aesthetic value to your outdoor spaces when used appropriately, but you might not know quite how to employ them. The experts at Outdoor Elements Inc. have the knowledge and experience to create the perfect plan for your yard, with sizing and placement of patios, walkways, and driveways that make sense for your space and your needs. Both creativity and skill allow our design and build teams to give you the one-of-a-kind hardscape that will improve your property and boost home value. At Outdoor Elements Inc., we offer myriad choices to create the beautiful and functional patios, walkways, and driveways your home is lacking, or upgrade existing elements. You'll also gain access to our talented team of designers and builders. It all starts by contacting us today at alex@outdoorelementsinc.com to set up a consultation.